This was a successful family and out of jeolousy and failed marriages somone who some persons have put put a spell on the entire family!!! hatred is all around...houses lay empty where once a family used to gather,,,,everyone blames and hates each other,,,yet time and time agaian divination work tells us ad them of a coerceive spell...a mixture of coerveive speells..
Re: Resolve Family Distress and Possession? Well, 13 herb baths for everyone would be a good place to start. If you think they are truly suffering from "demonic possesion" then contact a priest. However I feel that I should tell you, most cases of possession simply aren't. Its usual a mental issue that must be treated with modern medicine, not candles and spells.I don't know your situation, and I'm not a psychiatrist but my uncle is and I've heard far to many story's of people that were genuinely ill not getting the help they need because someone thought it was "demons". I'm sorry if I sound harsh but have them see a mental health worker. I'm sure there's an institution near you that can help. I considered a counsellor and psychiatrist untill i saw cups flying across the kitchen without anyone to be seen throwing them.... so yes they are posseed!! Now thats the kinda lady im looking for right there!! If u read what i mentioned i said we have had divination done by several rootworkers and all say the same thing and also we have seen through personalised divination that a spell has been put on the whole family,!! Presists come ad go and most of the time leave quite disturbed and battered, drs have prescribed medicines and have said its not medically related, some releif has been found in rootworkers but then they up the $$$ dollars and then that all stops, physical shadows, crying, things moveing et,,,theres too much proof against it beeing a huge mental family!! These people were are educted lawyers, drs, there father is a barister... they didnt beleive in magic,,but somoone out there now has surely convinced them and broken there backs to beleive it!! First let me state that I have seen generational curses on people and families. They take a long time to get rid of due to the fact they are older and there are so many people involved. I have also seen family members curse each other! Since it is such a large family, that is probably a good reason why they are having so many problems getting clean. It is hard to get everyone on the same page with cleanings. I would suggest continous cleaning and protection work. The 13 herb bath is wonderful, as are egg cleansings. Also, the Uncrossing and Cast Off Evil will help. I would also get help from the family's ancestors and work with St. Michael, the Archeangel. He is called for ridding a home of evil. Without actually reading the situation, that is the best I can suggest. Ah, well if your sure its something "demonic" then by all mean seek spiritual help. Literarylioness hit the nail on the head and I wholeheartedly agree. As for the bit bout medical science being wrong in cases like this, I'm not going to touch that subject with a ten foot pole lol. Way to easy to get in a argument over. Best of luck to you and the afflicted. has a ton of information about various protective work that you can lay on your person, on people in your home, and on your property itself. Generally, coming to a forum like this with a tale of family curses and possession is not going to get you the help you need. Focus on the cleansings, not so much on telling us the story. Do the work. U guys are wonderfull and God Bless u all, im gonna get on with it!! Hey Bubba, just out of concern, so did the family have success after the 13 herb bath and FWP? I had a 13 herb bath for 13 days and i feel alot different now.. and waiting for my FWP kit to arrive..
How is the family, how are they feeling, finally did they get medical help as well??? A family spirit is stopping me from going forward spiritually how can I stop this from happening. You may want to get a reading on this situation and someone with experience in this area. Look at AIRR's list of experienced workers in http://www.readersandrootworkers.org/in ... Mediumship (on the right side of window, you will see a list of readers/workers that work with spirit contact). Good Luck! Well, there's no one way to do things, so it really depends on the details surrounding that situation with that family spirit. If you had a reading with a rootworker, then you may wish to ask them what would be best in your circumstances, and they will be able to guide you since they will know what's specifically going on. I am happy to say that things are going well I have bought some herbs and they are working well. I ordered some more stuff from lucky Mojo to continue on my new journey. I am so grateful for all the people who have given me help especially Doctor K and Cat. I know my life will be more better in many ways now that I found the right people that only want to help with no other interest. My journey has been very hard but now I am going to have the life I deserve. God bless this website and the people that work so hard for all of us root workers. If your own spell work hasn't worked, you may need to consider hiring a professional. Please look at the AIRR web pageand pick a reader who specializes in curse removal. Who told you your family is cursed and how has this curse manifested? It would be easy for a relative to blame his or her bad experiences on a curse rather than look to deeper causes. 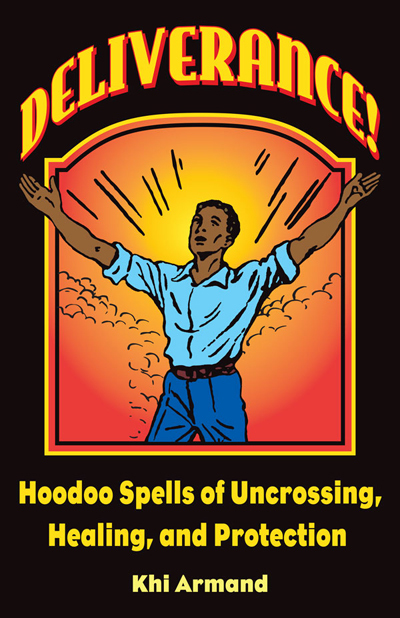 I believe that curses exist, but often "bad luck" is the consequence of negative thoughts or actions or random events. Mama Micki wrote: Who told you your family is cursed and how has this curse manifested? It would be easy for a relative to blame his or her bad experiences on a curse rather than look to deeper causes. I believe that curses exist, but often "bad luck" is the consequence of negative thoughts or actions or random events. Remember, intention is the root of all Magick. If you believed your are cursed, and believe bad things will happen, it could very well be a "Self-Cursing," so to speak. I would get a Reading done for your situation, and see what is happening in a different or clearer way. My sister called me a while ago and told me that she was told that our family had a "hindering spirit" set upon us. I'd like to know if anyone knows what a "hindering spirit" is and how do I get rid of it? Read this link, and then forward it to your sister -- for comparison purposes, if nothing else. I have never heard the term "hindering spirit" before, but it could be a colloquial manner of speaking. The best thing to do would probably be to go and ask the person who said it for clarification. That way, you will be clear on what was meant. Also, Miss Michaele offered you really sound advice about the possibility of a scam. Best of Luck to you! You might also try Uncrossing supplies and/or Tibetan Ghost-purging incense if you feel a spirit is bothering you. 13-Herb Bath and Chinese Wash are other good choices if you need spiritual cleansing. Perhaps "hindering" would mean creating blockages or stopping good things from reaching the person. In addition to the cleansing, maybe you could try Run Devil Run products and Road Opener too, to chase the thing away and break up any blocks it caused. A hindering spirit is one that holds people back from success, and the fact that the reader said it was on the entire family could mean that someone crossed the whole family or that this spirit is the result of a multi-generational curse. I would get a second opinion from a reader who has no interest in making money by removing the curse. It is quite common for unscrupulous readers to claim that there is a dark, wicked, evil, or hindering spirit on you simply to set up a way to get you to pay ... it's almost exactly like when a shady auto repair shop says you need a new battery -- but you don't.